Efficient, pleasant, and professional. 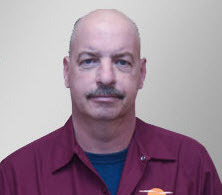 Larry is a wonderful technician and an asset to your company. He did a great job. Very quick response to the service request. Always reliable and dependable service. All questions answered and fully explained. Larry came quickly and solved our problem with the furnace, a radiator, and a timer. He has helped us for years and knows our system, so I was glad to see he was the one to answer our call. He's always polite with a good sense of humor. I can't comment on the price because I don't know what the charge is. Wonderful service with a smile for decades!! Larry and Joe have kept our oil burner well serviced and chugging along. We appreciate their professional and personal skills. Larry as been coming here for years and knows our heating system well. He always does a good job. I can't rate the price question below because I don't know what it is. On time, found problem & fixed.